There is a little history behind why Axznt started, and I’d like to share it with you, take you on a journey so you can understand the reasons behind what we do and why we do it. So… why dance? And, even more specifically, why Street Dance? It’s quite simple, we love it, Lizzie loves it and I love it. 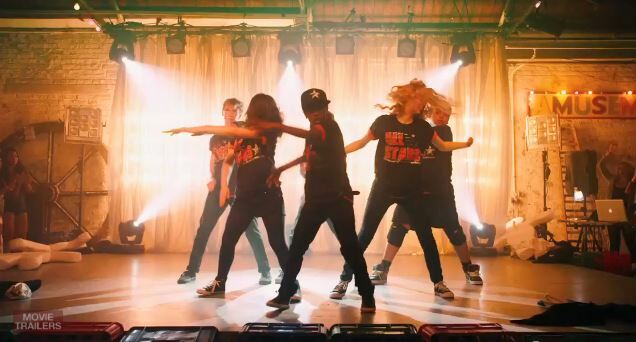 ‘It’ being all styles of street dance – the contagious energy is undeniable and ever since 2009 when Flawless and Diversity took the stage, Street Dance has been growing rapidly (for good and for bad). It is now the coolest thing to do whether you’re 4 going on 5 or just gone 45! I’ll keep this as short as possible. Axznt’s interest in dance grew naturally because I’m a dancer, I started street dance when I was 9 years old (17 years ago – 1999) back then it wasn’t nearly as popular as it is now in the UK – but it was just the form of dancing that was done to all the music I liked. Over the course of the next 6 years it became more and more popular. I studied, trained extensively, took my first solo trip to London when I was 15 and went to college to study dance. During that time I met Lizzie who took an interest in my motivation, drive and passion for street dance (her daughter was also a dancer). She encouraged me to compete and travel further to see what was out there. We discovered UDO, where I won the British Championships twice and the World Championships once. We also discovered Juste Debout at the early stages in Paris where I went to spectate for a couple of years, all between the tender ages of 15 to 17. With the UDO Champ trophy and on the podium back in the day! The way that Hip Hop, House and Funk makes you feel is the driving force for me and you can see it in everybody who dances, especially when you move into the freestyle/underground sector. The pure rawness of the feeling was and still is captivating. What’s more is the fact that most people who do the street dance styles don’t have any other motivating factors other than the love of the music and the culture is fascinating. Lizzie was all about discovering those young souls with an extraordinary talent that might not have had the push or recognition they deserve. Axznt (officially) started when I came back from my 3 month trip to America, where I had honed my dance skills and knowledge. We had done a few pieces of custom clothing before that, but this is when we decided to invest in an actual premises. Lizzie had a leading rhinestone company in UK and made a few dance costumes, I saw the technique used and thought that I could give it a go with the stuff I was wearing to competitions. Street dance fashion at the time was very much about being baggy, loud and colourful so we decided to tweak the bling a little bit and make it work… A partnership was formed. We were the only people offering that type of customised garment and service. I remember going out with my first customised bling hoodie, a little ‘out there’ but so many approached me asking ‘Where did you get that from? !’ And my reply was ‘errrrmm, I made it myself.’ We were asked to make some for a few individuals, we grossly undercharged, people loved them, and the rest as they say is history. Over the past 6 years of our establishment, Axznt has sponsored or had an affiliation with almost all the street dance competitions in the UK, including Hip Hop International and we have provided clothing for countless street dance stars, TV shows like Got To Dance and even one of the Street Dance Movies. Our mission is to create ‘The Hub’ for all urban creatives that will have the facilities for dancers, photographers/videographers, singers, DJs/Producers, visual artists and fashionistas. One of the main goals within that mission is to create and invest profits into a Trust Fund for young dancers, where we will be able to scout young talent who have massive potential but might not have the support or opportunity they need to achieve their dream – Axznt will be there to advise, guide and facilitate. These things do take time but we’ve already begun to build a very strong foundation so that when we do decide to invest in a project, we will be in it 100% to the end. Progress has been a little slow over the years but we have only had 2 people working on the business at any one time – We have a close working relationship with our customers, which they love and we plan to help them build alongside our continuous growth through constant fresh (free) bespoke designs and access to the latest garments on the market. I’m really looking forward to the future of Axznt, to be involved with more events and help other dancers. We will continue to invest and educate ourselves to bring our customers new printing technology and grow our team to make us even more versatile. So, now you have a better insight to who we are and why we do what we do. I want to leave you with some personal treasures from Lizzie and I… There are too many dance videos that I love for different reasons but the one below is the first one that came to mind that I can remember being blown away by. The video is 10 years old but still incredible. The crew is called U-MIN who actually featured in Missy Elliots ‘Ching-A-Ling’ after featuring in this video for UNIQLO clothing. I’ve watched this video over and over and it sends you to different places each time, it’s so clever! This piece made a lasting impression because of the excellence in its execution. The music, the theme, the perfection of the movement and the whole concept of the screen made it not only beautiful, but brilliant. It draws you into the story, you feel excited and hopeful that they will connect, just totally blown away by the art. I felt a joy in what they were doing as I do with all works of perfection. It was so human and yet so crafted, it makes me feel humble, but amazed… And then finally sad because … well you’ll see. Enjoy! Thanks for taking the time to get to know us a little bit better, if you need anything, especially customised clothing just give us a shout! We’ll be here… Building our empire! What’s your favourite dance video and why do you love Street Dance? Feel free to post a comment below!